To have insights on the needs, business structure, future strategy of your current customer base and prospects can gain you a great competitive advantage! If your sales team has the decisive information detailing which accounts present the bigger opportunity of closed business they will finalize the deals easily without losing any time. Our Account Profiling service is unique and provides valuable and the most relevant information to your sales team with which you can optimize your sales resources and they can approach the prospects with a sales pitch more confidently. 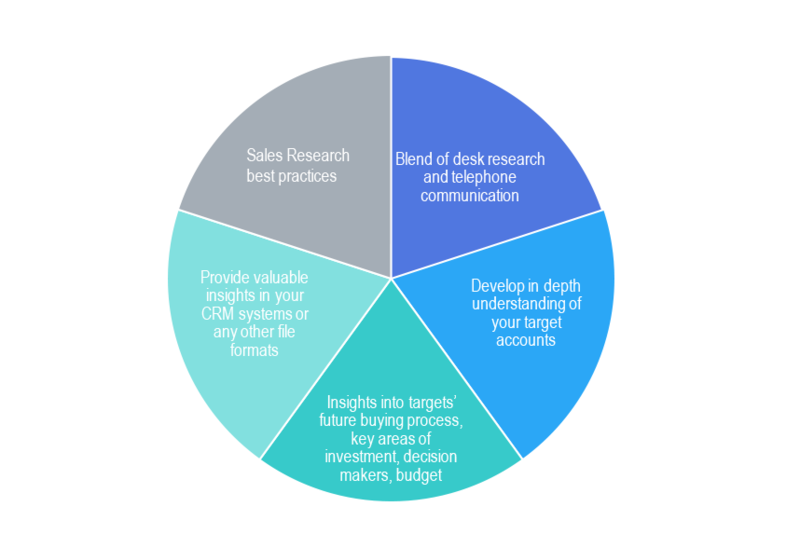 We make use of our sales research best practices that is, a blend of desk research and telephone communication to develop in depth understanding of your target accounts. We take notes about their future buying process, key areas of investment, decision makers, budget and timeframes to give you valuable insights in your CRM systems or any other file formats. To leverage maximum value out of our account profiling service, combine it with our Contact Discovery service and Market Intelligence Services.